We’re a friendly bunch here at Freewheel Holidays. There’s no secret or hidden information when it comes to us, in fact, we’re all about sharing our knowledge and providing you with the cycling holiday of your dreams. From cruising down some of Europe’s best rivers on our bike and barge cycling tours to tackling some of the stiffest mountains on the continent, we’ve got everything covered when it comes to cycling on your holiday. With that in mind, we thought we’d let you know all about our best-selling holidays and give you one or two reasons as to why we think they’re so popular. Hopefully, by the end of this blog, you’ll be booking one of our cycling tours in Europe yourself! 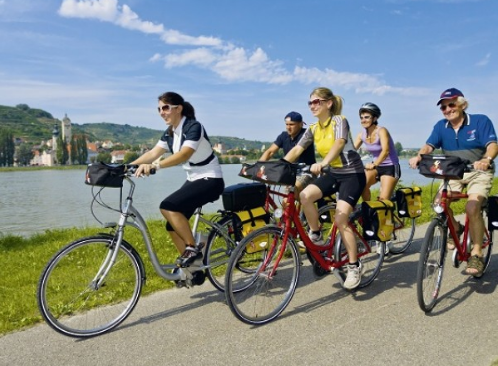 If your idea of a cycling holiday involves riding beside the water then the Passau to Vienna cycling holiday along the Danube cycle path could be exactly what you are looking for. Just like the Romans, the legendary Nibelungs, and even Europe’s powerful kings and emperors did before you, you’ll soon get to know the beauty and historical significance of the Danube cycle path, once ancient military and trading route. 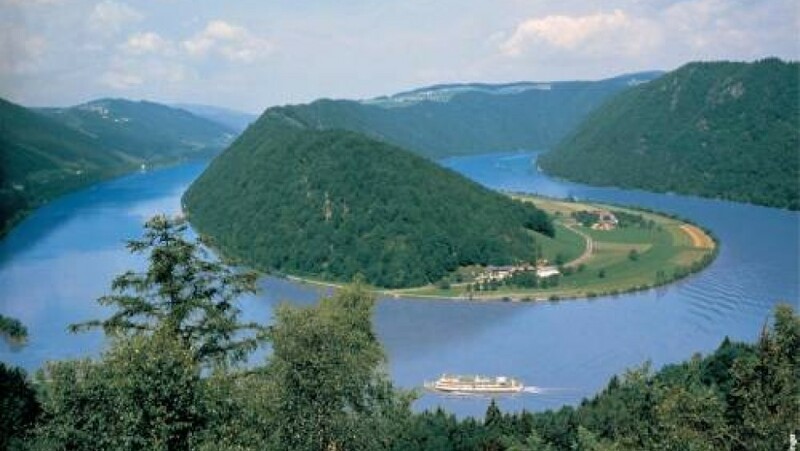 The Danube is, of course, Europe’s second longest river and passes through more countries than any other river in the world. Never far from its edge, you’ll either start your trip in the baroque town of Schärding or Passau, and cycle through various districts of Upper and Lower Austria, and finally to the Danube metropolis of Vienna. It really is the most beautiful way to travel from Passau to Vienna. If you’ve not already noticed, cycling along lakes and canals is a huge selling point of our cycling holidays, so it’s no surprise to see another of those trips at number two on our list. In fact, on this special tour you’ll catch the Bernina Express from Lake Como for a cycling holiday with a difference, allowing you to experience one of Europe’s most scenic train journeys as you take in the stunning beauty of Lake Como. Your Bernina Express cycling holiday will begin in Tirano, where you will cycle through medieval villages and visit Romanesque churches, before you journey on the mountain railway to the renowned ski resort of St Moritz. The next stage of the journey is through stunning Alpine mountains and forests and past sparkling lakes, along the cycle route of Val Chiavenna. After stops at fascinating lakeside towns, a Cistercian Abbey and the Sanctuary of the “Madonna of Sassella”, the tour ends in Tirano where there is more time to explore the historic centre. 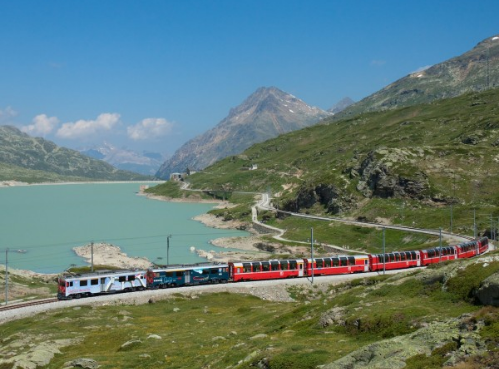 This scenic circular Bernina Express cycling holiday through the Swiss and Italian Alps is mainly on dedicated cycle paths, which makes it perfect for beginners and more experienced cyclists alike. 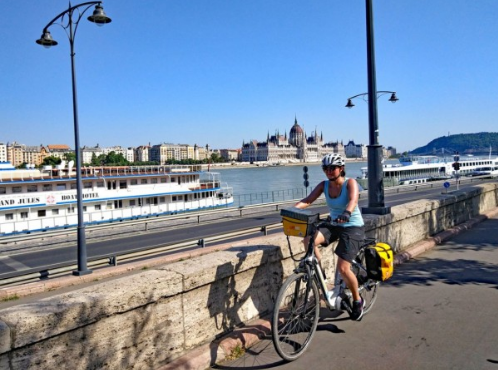 Last but by no means least is our breath-taking cycling tour which sees you cycle from Vienna to Budapest. Yes, you guessed it! There’s more waterside cycling to look forward to on this Vienna cycling holiday. Thanks to a dedicated cycle path you will explore lowland forests, original villages and magical cities, including Vienna, Bratislava and Budapest. You pass through the natural paradise that is the Rye Island, as well as numerous castles and palaces, which are proudly situated nearby the Danube. Don’t forget about the small towns along the bike trail either; they have a special flair and their charming historic centres invite visitors to discover and enjoy. Have we convinced you to join us on one of our best-selling cycling tours in Europe? Then give our cycling experts Steven and Simon a call to discuss all the finer details and book your next cycling holiday today.